The holiday season is the best time to enjoy Texas-grown citrus...especially juicy, sweet Texas-grown grapefruit! Citrus season -- including grapefruit -- kicks into high gear here in Texas in November and December. Texas Red Grapefruit in particular are sweet, juicy, and tree-ripened. 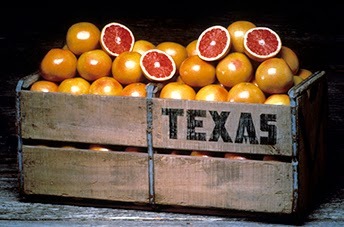 Texas produces the several trademarked categories of grapefruit, including the amazing TexaSweet® Rio Star®. It combines the two reddest varieties of grapefruit – the Rio Red and Star Ruby. Rio Star® grapefruit are definitely not your typical grapefruit – they have an overall blush on the exterior peel, with a gorgeous deep-red interior color that’s 7 to 10 times redder than other grapefruit varieties. The juice is also much sweeter and less bitter than standard grapefruits! If you think you're not a grapefruit fan, pick up some Rio Stars® and give them a try! 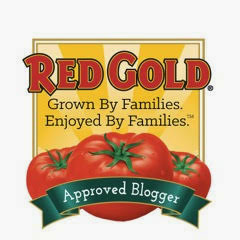 TexaSweet® recently sent me a box of Rio Star® grapefruits to create a holiday recipe to share with you today. I immediately decided that a citrusy adults-only sparkling cocktail was the perfect way to showcase the Rio Star’s® sweet-tart juice. 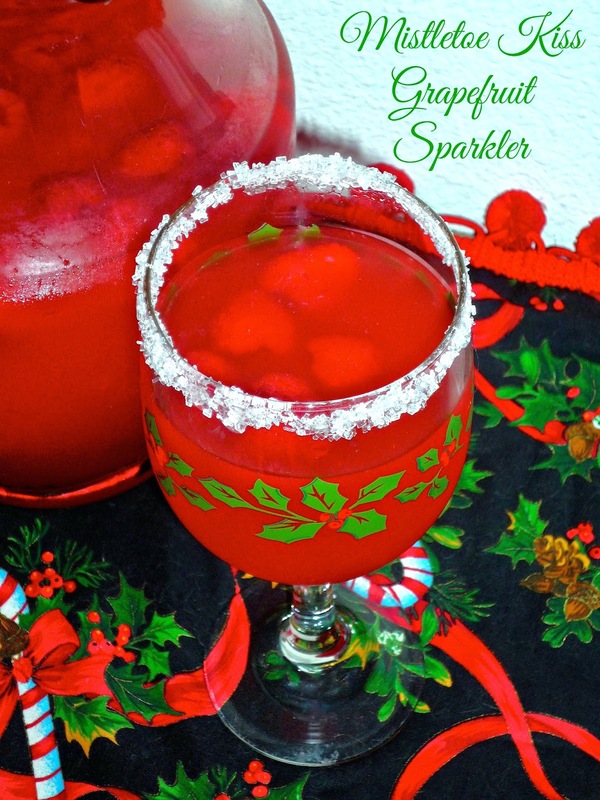 My Mistletoe Kiss Grapefruit Sparkler is ideal for holiday entertaining. Because this refreshing cocktail is served in a pitcher, your guests can serve themselves – leaving you time to mingle with your guests instead of pouring drinks. This fizzy punch contains grapefruit juice, sweet Moscato, a bit if citrus soda for fizz…and my secret ingredient: Texas-made Deep Eddy Ruby Red grapefruit vodka! 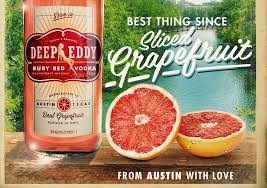 The Austin-based company's grapefruit vodka works perfectly here. To play up the red color of the Rio Star® grapefruit, I added a bit of raspberry syrup as well. The finishing touch is the addition of some frozen raspberries. They keep the drinks chilled without watering them down…and provide a pop of festive holiday red! Step 1: Juice the Rio Star® grapefruit, straining any seeds. Add the juice to the bottom of a clear glass pitcher. 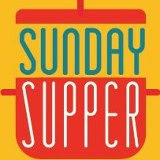 Add the Moscato, Deep Eddy vodka, raspberry syrup, and citrus soda. Stir well to completely combine. Step 2: Add the frozen raspberries to the pitcher. They will float on top, keeping the sparkler chilled…and they provide a pop of fruit flavor to each glass as they thaw! 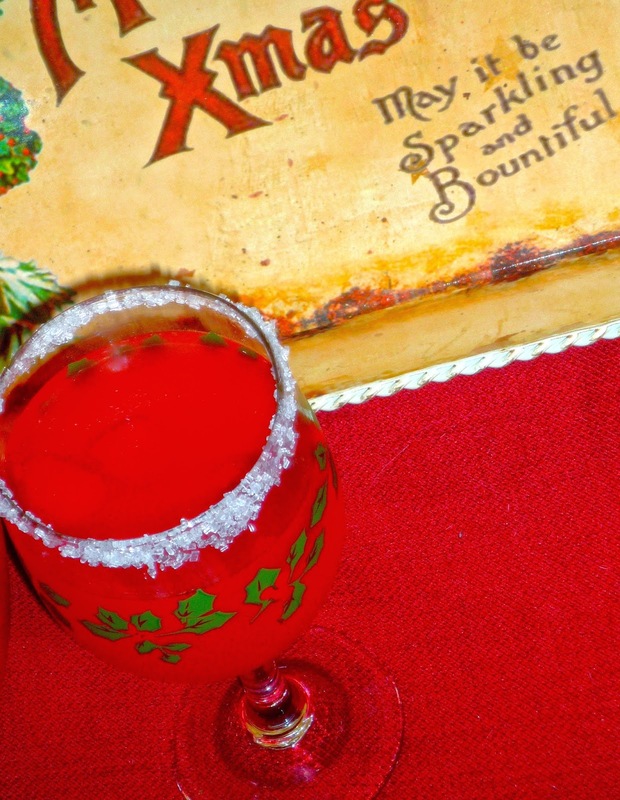 Serve in holiday-themed wine glasses with sparkly sugared rims. Then, head under the mistletoe with a sparkler in hand…and wait for some holiday magic to happen! This festive adults-only sparkler is refreshing and easy to drink! It’s sweetly tart and fizzy…perfect for holiday parties or weekend brunches all Winter long. Everyone who sampled this punch said it struck the perfect balance between sweet and tart…and it’s not an overly strong. The holidays are about fun…and this red grapefruit-infused sparkler surely fits the bill! 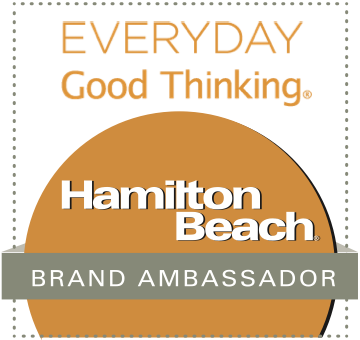 Disclosure: TexaSweet® sent me a box of Rio Star® grapefruits and other grapefruit promotional items to facilitate this feature. All opinions expressed are solely mine.